The most important question that will go through the average Nigerians mind is why make a trip to Senegal in the first place. First and foremost an insight in the country called Senegal is necessary. Senegal belongs to the ECOWAS coalition of West African countries which suggests that Senegal is found in the western part of Africa same as Nigeria, this beautiful country is hugely favoured in terms of natural landmarks and tourist attraction some of which are discussed below. From the beautiful lake Retba with its pink coloured waters which is pretty rare sight, to the town Goree, home to the Museum; House of slaves which played a major role during trans-Atlantic slave trade era. Still found within the walls of Goree is the 19th century Fort d’Estress which is home to the IFAN museum. Along the south east bank of the Senegal River in northern Biffeche is the Djoudj National Bird Sanctuary home to a wide variety of birds both local and migratory species which take shelter in the safe havens of the Djoudj national bird sanctuary. Consuming a whopping 75,000 hectares of land is the Saloum Delta National Park which is perfect for long strolls and hikes in nature. Also, Senegal is a good place for Nigerians to do business. Meanwhile, other people visit Senegal to visit family or to study. For what it’s worth, it is safe to say that I have piqued your interest in the beauty of Senegal, below I’ll tell you the type of Visa available and the necessary steps necessary to get your visa without breaking a sweat. Senegalese Business Visa: This visa provides an opportunity for individuals visiting Senegal to perform short term business activities without incurring any penalty. Senegalese Transit Visa: This type of visa is usually for periods that are very short, usually ranging for a mere 1-3 days. They serve the purpose of providing a port stop when traveling from one country to another with a third country serving as an intermediary, in this case Senegal being the intermediary. There are certain group of visa for special situations not categorized into the above groups that can be requested for while in Nigeria, these include Senegalese student Visa, temporary workers visa, parent visa and Senegalese marriage visa. For more close up interaction with an official of the Senegalese embassy, you can visit the Senegalese embassy, it is located at 12 Jose Marti St, Asokoro, Abuja. As a bonafide citizen of Nigeria, entrance into Senegal does not require any visa of sort for tourist, business or transit activities within the first 90 days of entrance into the country after which a visa is required. This is possible thanks to the agreement reached between the countries found in ECOWAS to abolish visa requirements between brethren nations of which Nigeria and Senegal are both members providing the 90 days no visa window for all Nigerians. However, the above does not apply to foreigners traveling from Nigeria to Senegal or for Nigerians traveling to Senegal for extended period of time passing the 90days limit. In any of the two cases mentioned above the following are necessary when applying for a visa to Senegal. The following requirements are classified based on the type of Senegalese visa you wish to obtain. Visa application form: One Visa application form with all necessary information clearly penned down. As well as correct signature. Business Letter: A business letter from applicant’s company addressed to the “Embassy of Senegal” in Abuja explaining reasons for the trip as well as assuring financial support for applicant. A Senegalese visa usually takes 2-15 days to be processed before being issued. This should be put into consideration while applying to make sure it does not affect ones pre planned trip. 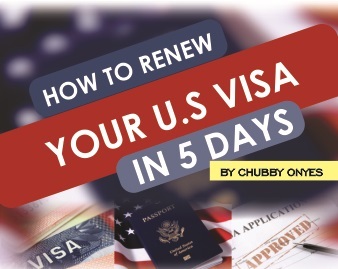 Usually it is advised that you start application for your visa at least a month to your intended period of travel. When you’ve finally decided to take a trip to Senegal. The first thing to do is to carry out a mental check of all your necessary document you need. As an addition to the aforementioned, check that you have a National Identification Card. Also do not forget your passport photo with recommended size, bank statement of account within a 6 months’ time frame and sufficient funds for the procedure. You now carry out the online application process for the visa by visiting the official Senegal website at visasenegal.sn. You will be required to provide all necessary information online at this stage. These will include your full name, address, contact telephone numbers, your type of vis, purpose of visit, intended duration of visit and so on. Ensure you fill in all details correctly. Also, at the online website, you will be required to make a payment of approximately €50 for your visa. Note that delivery charges will also be incurred separately and to be paid on the official site. Now after filling all information and making payment, print out the payment slips and make copies for reference purposes. Next, you will need to make a visit to the Embassy of Senegal located in Abuja to carry out biometric evaluation. Usually, biometric evaluation includes taking your finger prints, as well as checking your previous documents for authenticity and proof of payments. Via post to Embassy of Senegal where applicant is resident. By applying at visa application centers if available. In person at the Embassy of Senegal to stipulated officials. If you have diligently followed the above listed steps, then you are already close to obtaining your Senegal visa. It is safe to say you have successfully applied for your Senegal visa and your visa should be ready for delivery and usage within 2-15 days. Important Note: The duration of visa processing may vary from individual to individual. This is due to errors in document compilation or just specific issues related to an individual. The Senegalese government reserves the right to deny an applicant visa based on their discretion. Hence it is advised that you ensure your documents are complete, also be honest while filling your information so as to avoid delay in your visa processing or even worse, suspicion which may lead to rejection.